This is a first for Visuology. We are sponsoring a Last Tuesday Society lecture at the Viktor Wynd Museum of Curiosities, Fine Art and Natural History. Savile Row Tailor, Richard Anderson will be in conversation with Amber Butchart, discussing the history and evolution of Savile Row and how it has adapted to the 21st century. Richard wants to inject new blood into the craft of tailoring and pass on some of the lessons he has learned to the next generation. 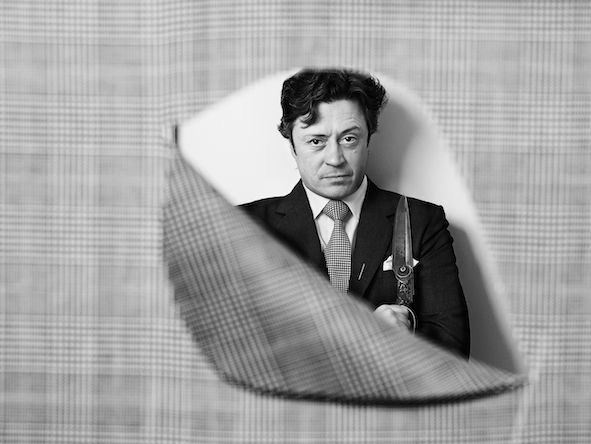 His early life in Savile Row is the subject of a book, Bespoke: Savile Row Ripped and Smooth. He will be talking about this, as well as his work as one of the leading independent bespoke tailors in London. Richard is also the master craftsman behind the red sequinned suit on display at the museum (previously owned by artist and dandy Sebastian Horsley, whose archive will be discussed afterwards). The Visuology Lecture will be held from 6.0-9.0 pm on Tuesday 24th February – click here to find out more and book tickets.